Carry your water around with some classic blonde bombshell style! This Marilyn Monroe 18 oz. 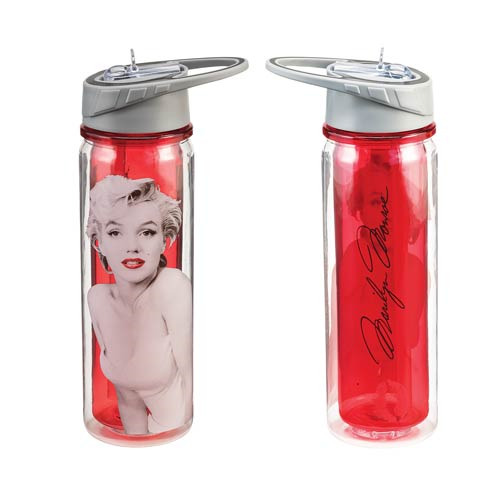 Tritan Water Bottle features a black and white image of the beautiful lass, save for her bright red lipstick. On a red background the image of Marilyn Monroe is as visually stunning as she is herself! Water bottle holds up to 18 ounces of liquid. Hand wash only. Not dishwasher safe. Do not microwave.